This is the time of year when decks are used more than in other seasons. Do you dream of having a large deck for relaxing with your family but don’t have enough room to build it? If you have a flat roof, perhaps you could have a rooftop deck installed. If you’re considering a roof deck for your flat roof, here are some of the advantages, along with a few considerations and warnings. One of the main advantages of having a rooftop deck is that it adds additional seasonal living space. A rooftop deck is ideal for entertaining. It provides homeowners with outstanding views. Having a deck built on a flat roof gives it fire resistance and high-quality thermal performance. This type of deck also provides your roofing system sound, structural support. It creates a slope for improved wind-uplift performance and a slope for drainage. Rooftop decks offer a large space for growing vegetables and plants in container gardens. Consider that vegetation grown in large planters can take advantage of full-sun exposure in open areas. A deck on your roof can add personality to your house, making it stand out in your neighborhood. What’s more, you can increase the value of your home. For a rustic, traditional look, use wood for your flooring. On a negative note, wood costs more and needs more maintenance than other materials. Waterproof membrane makes an excellent flooring because it can protect your deck from excessive moisture and rainwater, besides produce a linear and neat surface. Tile flooring, made from porcelain, granite, slate and other materials, is also popular. One benefit from tile is that it’s easier to clean than other types of flooring materials. Another choice is sandstone. People who prefer sandstone flooring choose it because it only requires minimal maintenance and looks natural. The first step is to make sure that your flat roof is strong enough to support a deck. To do this, you’ll need a professional to inspect it. For a rooftop deck to be safely installed on a flat roof, a roof has to be strong enough to support approximately 55 pounds for each square foot. Before you can start building you’ll need a permit from your local building department. This entails submitting detailed drawings, besides notifying next-door neighbors. Think about the type of railings you’ll need for your deck. Various kinds of railings can be used, such as wood, wrought iron, stone or brick. They can even be part of your existing house structure. Consider the weather where you live, such as the amount of abuse and pounding your deck will most likely have to endure, particularly during winter. 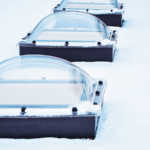 Find out how your roof can be protected from thermal contractions and expansion. 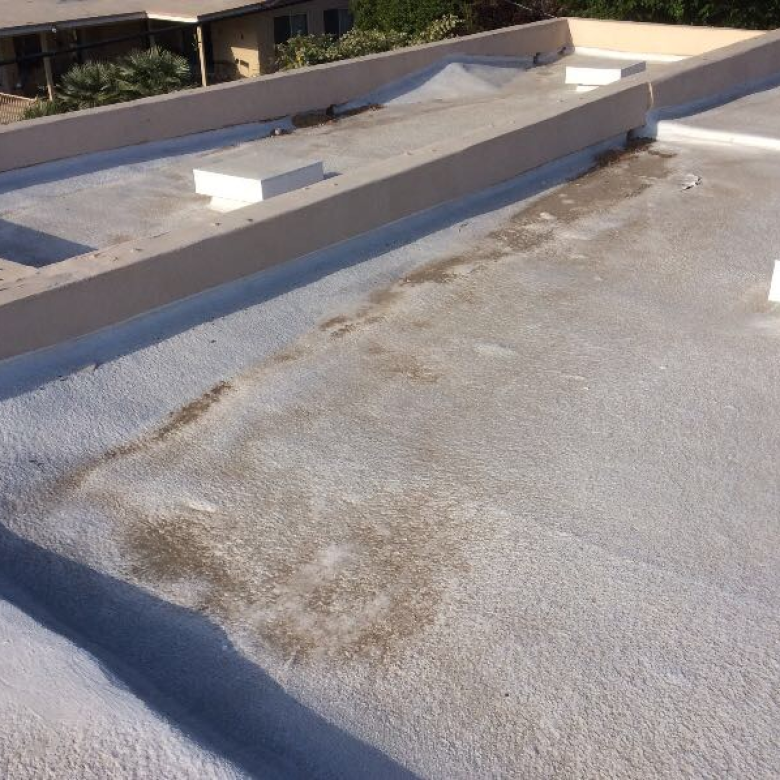 Roof decks can have a serious issue from ponding water, which is water remaining on a roof after 48 hours following rainfall. This can compromise the performance and longevity of the roofing membrane. However, the problem of ponding or pooling water is not because of the deck itself. Instead, the issue is with the roof that lies underneath the deck. 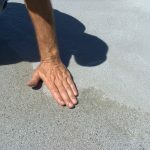 Ensure that your roof can withstand water and is able to support a deck without leaking because it can be very difficult to repair a leak underneath a roof after the deck is installed. Consider designing your deck so that you’re able to get to the roof in case you have roof leakage. Determine the colors that will go with your house, along with the type of roofing materials that won’t clash with your home. 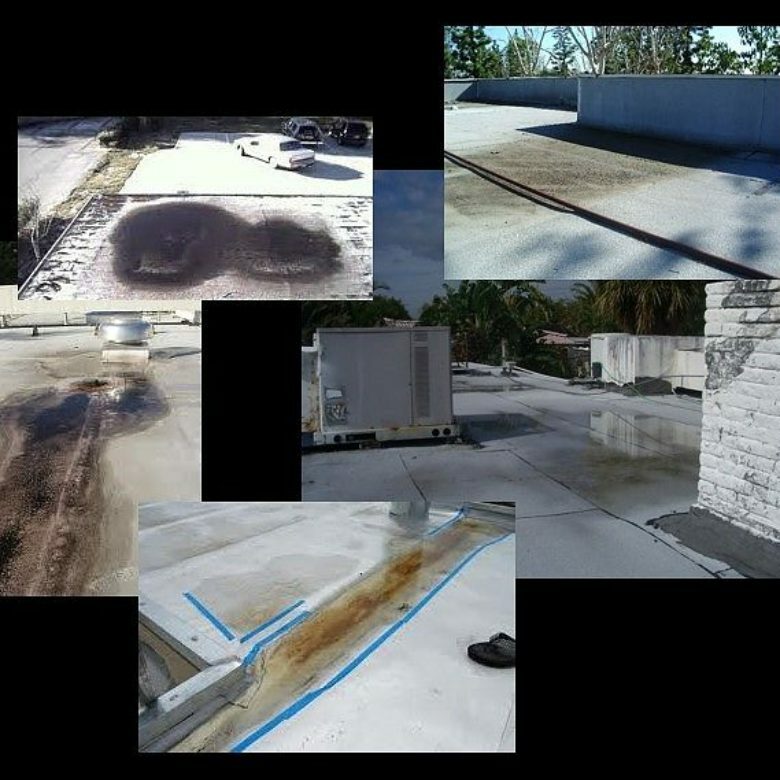 Only hire flat roof repair specialists, ensuring they’re qualified for this type of specific roof repair work. Be sure any company you’re considering has the proper certification and is licensed for doing flat roofing. Ask about the types of materials that will be used as flat roofing materials are considerably different. 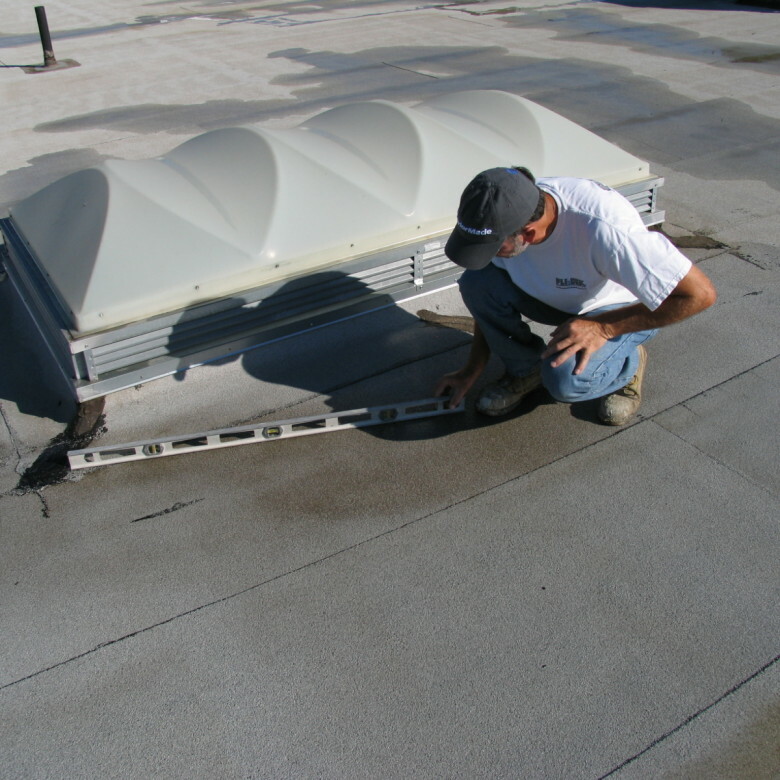 RoofSlope offers an easy-to-install, affordable product for correcting areas affected with ponding water. Please contact us and learn more about how we can help you.